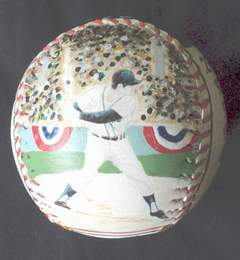 This Legends Hand Painted Al Kaline Baseball features my two original paintings of the Detroit Tigers Hall of Famer. 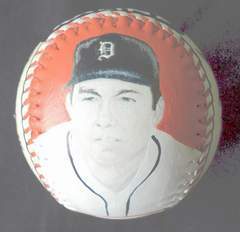 Side two has my painting of Kaline smashing a home run. Click here for a closer look. 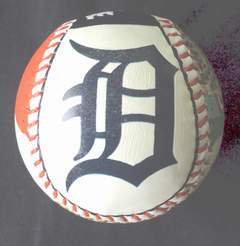 Side three is my hand painted of the Detroit Tiger's logo. 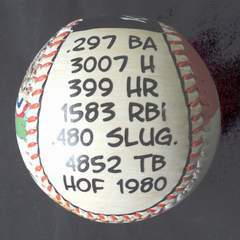 Side four has some of Kaline's important lifetime stats and awards. 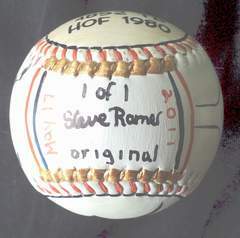 Including the year he was inducted into Baseball's Hall of Fame, 1980. 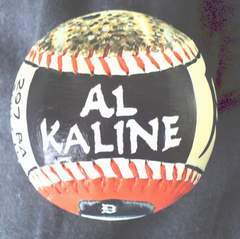 Side five, which is the top of the baseball, has Al Kaline's hand painted name in Tigers colors.